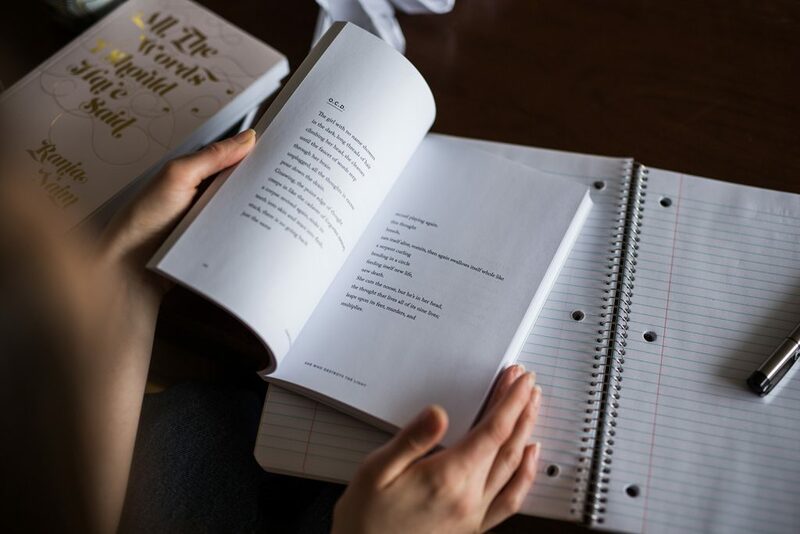 Amy’s grand title, Poems Are Teachers: How Studying Poetry Strengthens Writing in All Genres, names the promise of this book, and every ravishing word thereafter supports that thesis and never lets us down. Amy convinces us that devoting time to deep study and practice of the specific features and techniques of poetry will elevate any type of prose, and we should determine to make plenty of space for poem reading and writing in our classrooms. “But remember, like chefs, writers are creative people, and they often invent new ways to combine phrase-ingredients and word-spices” (123). Or this one: “Our hearts have been zipped open with words” (187). Writing that delicious inspires me to produce a bumper sticker, or indeed, a national standard that will apply in every classroom for every age group: Teach poetry writing because poetry teaches everything. I can attest to Amy’s claim that the art and skill of making poems strengthens all kinds of composition. Writing poetry, I often joke, helped earn my college degrees. My course papers stood out in the stacks of essays and gave my professors some joy to read, or so they reported. I believe the techniques I learned making poems translated to my prose writing, affecting everything from provocative titles, to sentence cadence and variety, and especially to lessons in revising (cutting, mostly) for clarity and meaning. Astronomy class? Over my head, much of it, and I made a C on the multiple-choice exam. But my research paper contained a galaxy of metaphors, and in a sort of bonus section, I included several poems, one that compared the end of an unfortunate love relationship to a supernova explosion, where one of the stars steals matter from its companion star, exhausting its nuclear fuel. (Or something like that.) Perhaps the poem’s metaphor demonstrated for my professor that I had a reasonable understanding of the science. Unlike the murkiness of my supernova–love analogy, the organization of this book is crystal clear and effective. You can dip in and out as you wish, in any order you prefer, to find a lesson that teaches an art or a technique of poem writing. 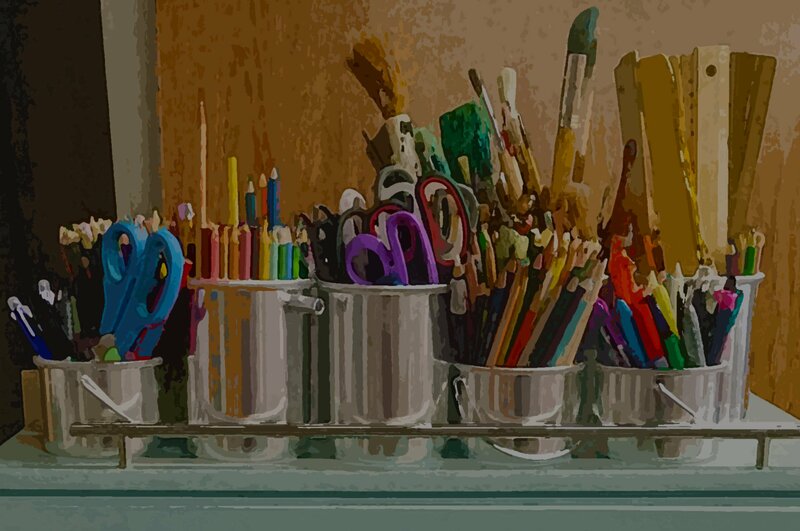 The teaching comes in the form of quick try-its that will fly out of the book and into kids’ hearts, inviting them to write poems with strength, wit, and beauty. You can also keep this book open on your desk as a constant companion to consult for powerful lessons in crafting fiction, essay, and argument writing, or for sparking informational texts during science, history, and math. Amy provides numerous examples of poetic techniques inside all kinds of narrative and nonnarrative prose texts that you can use to demonstrate. As if the wealth of Amy’s own writing and teaching ideas were not enough by themselves, she gifts us with a trove of poems by our favorite children’s poets, who reveal the secrets of their thinking and their craft decisions for each contribution. Jane Yolen’s explanation of the multiple reasons she chose the word smudge is priceless. In addition, Amy presents dozens of stunning poems by young students working with the various poetry techniques that sit companionably beside their mentors. I promise that you are about to experience joy reading this book. I am positive that sharing the poems, the how-tos, and the inner workings of all these poets’ hearts and minds with your students will magically, even miraculously improve their poetry and prose. And I hope that some of Amy Ludwig VanDerwater’s magic dust will inspire you to write your own poems as well. --Katherine Bomer, author of The Journey is Everything, and Hidden Gems.